I have written privately to my girls since they were in my womb in journals I will gift them someday. Dan too keeps a journal to them. We have amazing little rituals like writing notes to one another, especially if we are mad, sad or sorry. We have a treasure box where we keep them all. I know there are so many things we share that busy “soccer moms” might never get to with their kids. We snuggle a lot. We read and talk about what we read. We collage our visions and hopes and prayers for the seasons in our lives. We pray. Since writing “Gauntlet With a Gift” I have had this fresh perspective on the gifts that are wrapped in ugly packages like chronic illness and pain. I do believe our slow life, early bedtimes and lots of talking and listening to one another has shaped us. The compassion I see growing in both my girls for me in my suffering is forming their character. Through all our hard we’ve tried to teach our girls these simple things. THE SHADOWS ARE REAL. Just because you know Jesus doesn’t make the sun shine all the time. THERE IS DANGER. Keep your eyes open. Laugh. You, be more dangerous. You, grow up bigger than the bad. 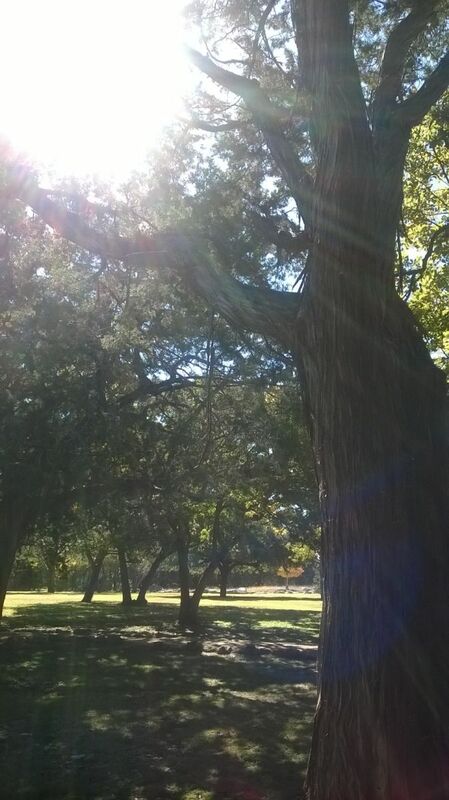 You, shine brighter than the dark. YOU WILL POLLUTE THE SHADOWS, MY CHILDREN. Delaney wrote the following as a paper for school. Because of the length and the necessary scientific references some parts are edited out. If you are interested in her full study you are welcome to contact me. I love she chose this topic to explore. I appreciate her honesty and conclusions about the juxtaposition of light and dark in a very difficult life for a child and adolescent to navigate. I grew from viewing our world through her eyes, and I hope you do as well. In 2009, I was eight years old and found out that my little sister, Danica, had Chiari malformation. She was two when she had her first brain decompression. She was three years old and had to have a second brain surgery and rare spinal fusion. For a year and a half she was in a neck and brace and a wheelchair. Many long trips to Cincinnati Children’s Hospital for check ups left me at my grandparent’s house or with friends every time my parents and Danica were away. I learned to be independent early on because even when my mom was pregnant with Danica she had to be hospitalized in Maryland for three months, and I came to live in Ohio with my grandpa and grandma. I began kindergarten at Lake Center Christian School when I was only four years old. Research suggests that when one family member’s health is challenged or unpredictable the whole family is affected. And while all children rely on their parents to help them feel safe and secure, parents in families with health concerns may be too preoccupied or overwhelmed to provide this attention. Other important family research states that some lingering negative effects on well siblings growing up with an ill sibling or parent may appear in late adolescence and early adulthood. Specifically, the later negative effect it has on their social functioning, including their ability to be comfortable and trusting in social relationships becomes a critical issue as a child matures. The results of the study also suggests that parent’s ability to manage the needs of their well children is crucial to their children’s resilience. If parents focus the majority of their attentions on the ill child at the expense of the well child, a higher probability exists that the well sibling would be susceptible to behavioral and emotional problems in late adolescence. After Danica’s second surgery my mom quit her job to take care of Danica, and she was getting sicker herself. This, and many medical bills, led us to lose our home and live in my grandparent’s finished basement. Even though I had my own room, and we had our own bathroom, and a small kitchenette, it was a place to stay and not our home. My grandparents had just built their home one year before we moved in. It was brand new, but just like every basement there were bugs, very little sunlight and mold. My room didn’t have a window at all. This is when my mom started to feel even worse. She had several rough surgeries for endometriosis that had been growing all over her insides, but I think the stress of everything she did for Danica and the living environment made her feel the worst she ever had. She went to a doctor in Maryland and found out she had Chiari and EDS too. Her neck was always in pain and some days she couldn’t lift her head or even get out of bed. My life changed drastically when Danica had her first brain surgery and hasn’t been the same since. Really, it began back when mom got pregnant with Danica in 2007. An issue of The Journal of Child and Family Studies published in 2012 states that when children grow up with a parent who has a chronic medical condition they are at risk for adjustment difficulties. Illness or disability in the family can have many effects, negative and positive. Differences in behavior, academic outcomes and psychosocial outcomes may occur. Many benefits can come as well, like becoming more responsible, being a kind and loving person, and valuing life. Children in families with disability or chronic illness usually face real life concerns at an earlier age than most. This was definitely true for me. I feel like I had to grow up quickly because I had more responsibility for my own self care, school work, and around the house than most kids my age, One of the biggest ways my life is different than my friends is how much we are at home. My mom is in bed a lot and never knows how she will feel, so we cannot plan ahead, and I rarely get to have anyone to my house. She is allergic to all kinds of smells, so she has trouble coming to events at school and cannot go to church. She can be feeling okay one day and suddenly be very sick. The American Academy of Pediatrics published a study that highlighted the positive opportunities of growing up in a home with a chronically ill sibling and parent. It can provide opportunities for the family to bond closely and develop resilience. For our family this is definitely true. No one understands how hard the past eight years have been for us. We appreciate small things and good days others might take for granted. I also have an understanding of pain that helps me be empathetic to others hurting. I know what it is like to lose material things and be aware of what really matters. I appreciate my mom and how hard she fights to keep moving. This has taught me to never give up. Even though we don’t do a lot of normal things, we have more time to just be together instead of running from activity to activity. For me, my grandparents really helped take care of Danica and I while my parents were away for medical reasons, and often times people provided meals on days where my mom was too sick to cook. I know what it is like to be loved by many other people. Going through all this has been really hard for everyone in the family, and as I get older and grow up I will always remember everything that has happened to me through the years. It may make me feel sad or depressed, but I know many benefits have come out of it all. I have become more mature and responsible with my chores, taking care of Danica as well as my mom and much more. Most kids my age get together with their friends all the time, but I never have anyone over to my house except my friend Lauren. She has been my best friend since kindergarten and has stuck by my side since then. She has encouraged me through everything my family has been through. My life has been full of sadness, and it has been hard to get through it all. There are times I wish my family was different, but I also know God is using the bad and the good to make me into who I am supposed to be. I have learned that family is very important when you are in a situation like this. God has also been a big part of it all. He has healed my sister and encouraged my mom mom through all her surgeries and treatments and trying to make it through day by day. It’s true negative things can develop from growing up with a family member who has a chronic medical condition but many benefits can come as well. 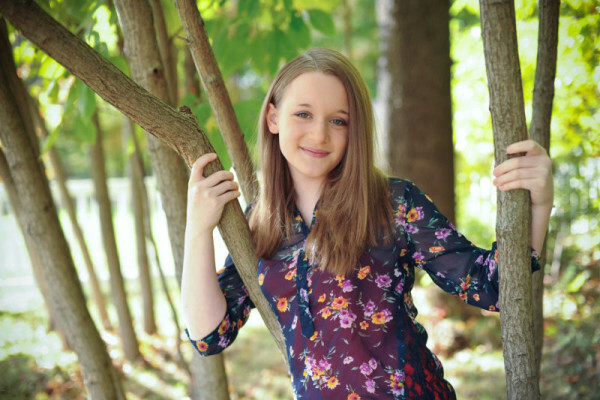 Delaney Jayne is twelve years old and entering the eighth grade in the fall. At four years old I let her leave me in the hospital in Maryland and come here to Ohio with my parents to begin kindergarten. She has always been fiercely independent. She sees the world through color, pattern and texture. She collects vintage cameras, lockets and art books. She loves Jesus, Audrey Hepburn and Harry Potter. She is friendly with all but has one or two close friends. She guards her heart. She dreams of traveling to Europe and having her own life far away from here. I hold her loosely. 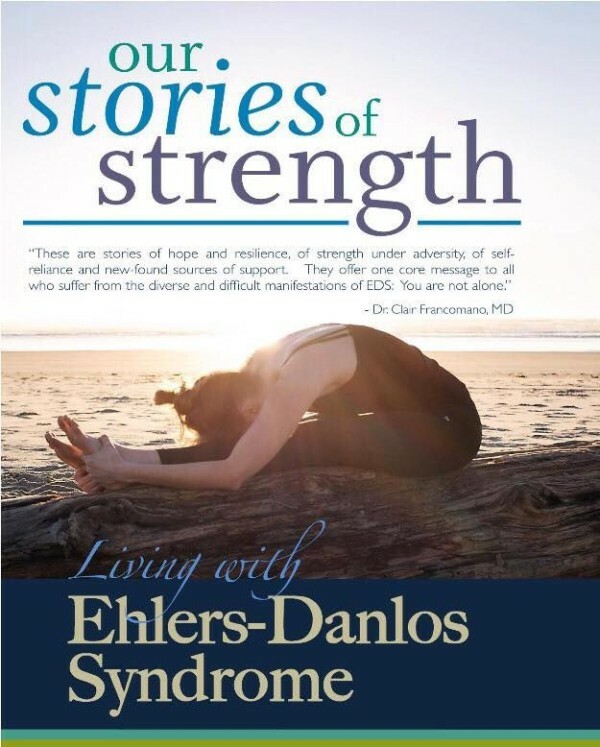 I am donating the highly anticipated book Our Stories of Strength: Living with Elhers-Danlos Syndrome as this week’s giveaway. Mysti Reutlinger and Kendra Neilsen Myles have beautifully woven together an inspirational collection of stories, filled with devastation, heartbreak, triumph, and strength as written by those affected by different types of Ehlers-Danlos Syndrome. Our community’s dear geneticist, Dr. Clair Francomano writes the foreword. WHEN DID YOU FIRST HEAR THE WORDS EHLERS-DANLOS SYNDROME? WHEN DID YOU FIRST SUSPECT YOU OR SOMEONE CLOSE TO YOU MIGHT HAVE THIS CONNECTIVE TISSUE DISORDER? Enter for a chance to win a copy of this amazing book by leaving a response here in the comments section of this blog post. Share this story somewhere on social media with the links below using the hashtag #GauntletStoryFeast. Each share will be an additional entry to win the book. The winner will be randomly chosen next Wednesday, June 17th after midnight and announced with next week’s Gauntlet Story. Don’t worry! If you don’t win, you may also click through the above link and purchase the print or Kindle version on Amazon. 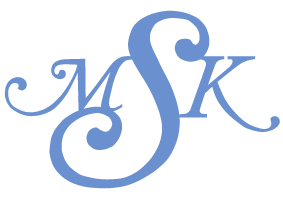 Please join the Our Stories of Strength online community here. Beautifully written. My daughter has EDS and has made it part of her mission in life to educate the people she comes in contact with and especially medical students and other professionals about this disease. You are an amazing writer and the stories you share each week touch my soul. God bless. Thank you Monica for sharing your beautiful daughter’s wisdom and insight. She is wise and mature beyond her years. Thank you Delaney! This is very well written and straight from the heart. Thank you for sharing. I have a daughter, Lacy Delane, and a grand-daughter, Isabel Jayne. Lots of love to you all. xo Oh and PS…Lacy loves Jesus, Audry Hepburn and Harry-Potter too! Thank you for sharing this with us. Though it’s heartbreaking to know you guys are suffering, it’s good to know there are others who walk a similar path. I will be praying for you as you get ready for another surgery with our beloved Dr. H.
I first heard about EDS in a scientific magazine many years ago, in an article about contortionists. I don’t know why, but the article struck a chord in me, and I cut it out and saved it. Then in college, one of my friends had EDS and was at the beginning of her neurosurgical journey. (You know her as the beautiful Halle, haha.) She told me she suspected I had it too. I blew it off until several years later, when I was in graduate school and was suffering more and more each day. I finally went to a geneticist and was officially diagnosed with H-EDS. I lived a relatively normal life — completing my master’s program, moving across the country for my “big girl job,” being active. That is, until I had a series of bad bicycle wrecks, which left me with a constellation of new neurological symptoms and pain I didn’t know was possible. I ended up leaving my job and moving back home with my mom. After a year and a half of seeing doctor after doctor with no answers, I finally was able to see Dr. Henderson, who diagnosed me with cervical instability and severe stenosis. I am now two-months post-op (laminoplasty and fusion), and will visit the idea of another fusion in a few weeks. I am not back to where I want to be yet, but … I know that if I am patient and diligent with rehabilitation, I will get better! I first heard of Ehlers-Danlos Syndrome 3 years ago while researching a potential health problem. While that particular issue ended up being a false alarm, reading about the disorder opened my eyes and gave answers to dozens of weird health issues I’d dealt with over my lifetime. And a visit to a geneticist confirmed that, yes, I did have this connective tissue disorder. So many things I’d just accepted as normal, I realized weren’t. While no one wants to get a diagnosis of a lifelong chronic illness it put me on a path to addressing certain issues that I’d either ignored or just put up with for decades. It also caused me to be far more proactive about maintaining what health and mobility I am blessed to have, for as long as the Lord allows. Monica I first heard of EDS from your blog, but now my step daughter has just recently been diagnosed with it. I struggle to understand what she is dealing with. I pray I can. Linda, You are the random winner of the Our Stories of Strength book! Please message me on facebook or meail me at mkayesnyder@gmail.com, and I will get it in the mail to you. I hope it helps give you a window into your step daughter’s journey and you can share the book with her. Our Hope remains.